And the Bumblebee movie continues its flood of news today. 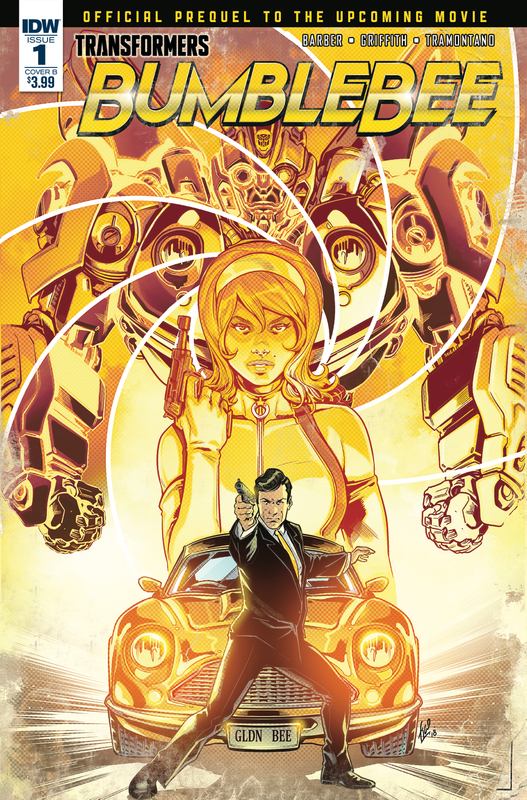 We have the Cover B and Retailer Incentive Cover of the upcoming Transformers Bumblebee Movie Prequel #1 for your viewing pleasure. Cover B by artist Fico Ossio comes in a retro spy movie style. The Retailer Incetive Cover by artist Andrew Griffith is also on a similar style. Both covers feature a slightly different design for Bumblebee. *The prequel to the new Bumblebee film (coming this winter), geared toward a younger audience! You can check out the mirrored covers after the jump, and then chime in your impressions on the 2005 Boards! Homie, that's just called a pun. 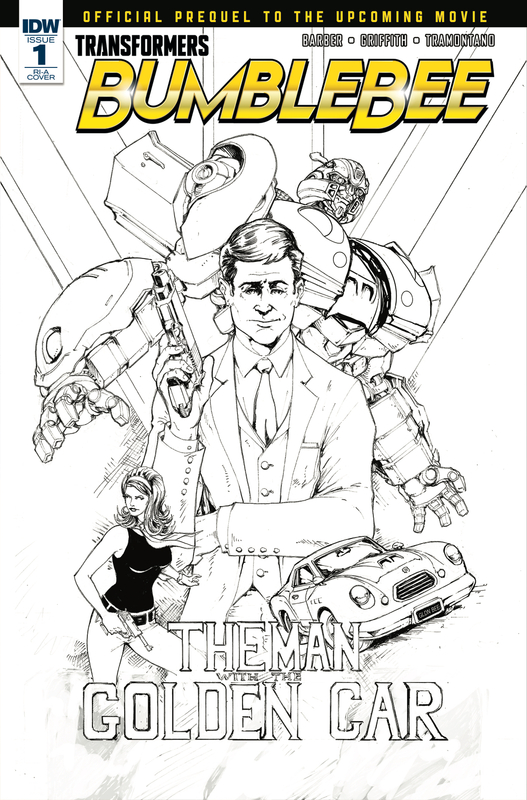 There's going to be a Transformers X Archer crossover? Are we gonna do James Bond puns? Cuz we better do James Bond puns. Maybe Bumblebee is not a cunning linguist, but surely he can impress a girl anyway. Barfing all over any implied connection to the bayverse. Also, Bumblebee as an Aston Martin? I'd thought Prowl would have been that, and I've only seen Daniel Craig as Bond, but I plan on seeing the other actors who have played 007. Prowl would work personality wise, but I think bluestreak would be a better choice. The car is less obvious and his chatterbox attitude would be a great contrast. That's a funny way to say "Sean Connery." I have to say Roger Moore for myself. Since I grew up with Moore. And also b/c of Moonraker and Live and Let Die. Those are my (2) favorites. Ladies and Gentlemen, Sir Roger Moore. Best 007 ever. This is with out a doubt another James Bond 007 rip off from \"The Man With The Golden Gun\". Villian staring Christopher Lee (RIP) as Francisco Scaramanga. Maybe, but it's always how you say it and my name isn't Bond, my name is Prime, Septimus Prime! You're too late, Bond. My post has already been made before yours! Younger readers eh. So don't have to worry about that certain MI6 charm being used in the backseat on a girl with a suggestive name that will lead to an awkward morning. Colors of cover B by Fico Ossio. Hopefully the main villain is a Decepticon that looks like Blofeld.